Broadway seems like something of a family affair these days. There are so many brothers and sisters performing, it’s difficult to keep track. Jake Gyllenhaal was in Constellations this season while his sister, Maggie Gyllenhaal, was in The Real Thing — and both siblings were making their Broadway debuts. Adam Jacobs stars in the title role of Aladdin while his sister Arielle Jacobs is portraying Nessarose in Wicked. Jake Lucas, 12, is playing Kelli O’Hara’s son in The King and I, while his sister Sydney Lucas, a Tony nominee at age 11, is playing Michael Cerveris’ daughter (the youngest of the three performers portraying the character) in Fun Home. Why are so many siblings on stage? Is it nature (inherited talent), nurture (one paving the way for the other in the family business), or random luck (coincidence)? Siblings may be getting into the act on Broadway in unprecedented numbers, but it’s not a new phenomenon. Michael Cerveris, Sydney Lucas’ castmate in Fun Home who took home the best leading actor Tony in June and has performed in 10 Broadway productions over the past 22 years, has a brother, Todd, who has appeared in two Broadway shows, most recently in South Pacific, and a sister, Marisa, a former dancer with the New York City Ballet who was in the cast of The Phantom of the Opera. Sutton Foster and her brother Hunter Foster both began their Broadway careers in the original Les Misérables and then the first Broadway revival of Grease. 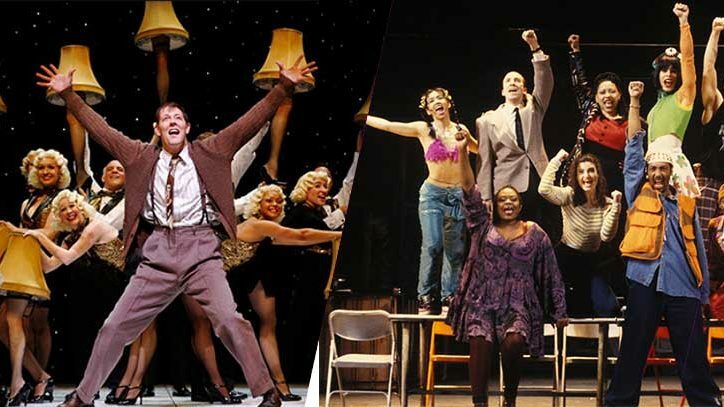 Sutton has racked up nine more Broadway productions in the two decades since, and Hunter eight. Andrew Keenan-Bolger and his sister Celia Keenan-Bolger are both four-time veterans of Broadway, he most recently in Newsies and she (a three-time Tony nominee) most recently inThe Glass Menagerie. 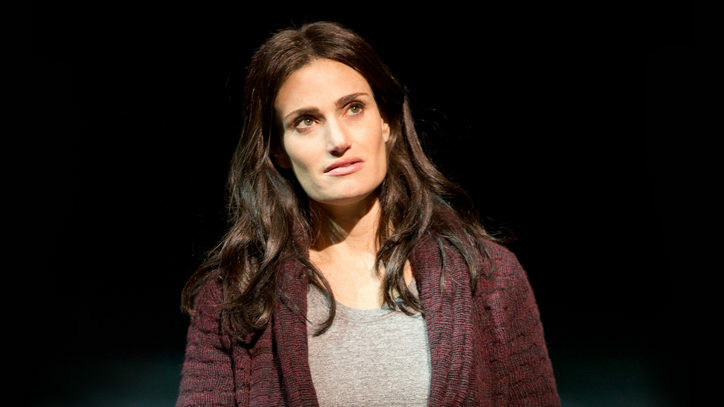 Even siblings primarily known for their work on screen have spent time on stage: Meryl Streep’s two daughters Grace and Mamie Gummer are Broadway veterans (as is Meryl herself of course); so are Julia Roberts and her brother, Eric Roberts. Before he conquered Hollywood, Fred Astaire reigned on Broadway . . . right alongside his sister Adele. Together on stage, they appeared in 10 Broadway musicals between 1917 and 1931. Their accomplishments are honored each year with the Fred and Adele Astaire Awards, which are given to the best dancers and choreographers of the Broadway season. Two of the Astaire nominees this year were Robert Fairchild and his sister Megan Fairchild, which seems especially apt. Both are principal dancers with the New York City Ballet who are making their Broadway and their acting debuts, albeit in two different musicals. Robert is portraying Jerry Mulligan in An American in Paris; he not only won the Astaire, but was also nominated for a Tony. Megan has been critically acclaimed for her turn as Ivy Smith, a.k.a. Miss Turnstiles, in On the Town. What’s been the difference between the Fairchilds’ performances in ballet and in theater? Family and friends from their hometown of Salt Lake City who they say have never come to the New York City Ballet are making the trip to see the two new Broadway stars, in what is seen as a two-for-one bargain. It’s also terribly convenient: Robert and Megan are performing in theatres just four blocks from one another. If it’s unusual for siblings to work on the same show, it can happen, although sometimes in unexpected ways. Debbie Allen, a veteran Broadway performer, directed her sister Phylicia Rashad in the 2008 Broadway revival of Tennessee Williams’ Cat on a Hot Tin Roof. The Mueller sisters are in the same show, but not at the same time. Indeed, their situation seems especially rare. A couple of seasons ago, Jessie Mueller originated the role of singer-songwriter Carole King in the Broadway production of Beautiful. Now Jessie’s sister Abby is portraying Carole King in the Broadway touring company of Beautiful, which begins in September in Providence, Rhode Island, and will last at least a year. Abby did not seek out this part — her agent contacted her –— and she was reluctant even to audition for it. “This was so closely associated with my sister that at first I thought it was really weird. I did not want to step in her sandbox,” she says. “She had performed the role so brilliantly. Will any of the current crop of stage siblings grow into the kind of awe-inspiring dynasties of the past? Sir Michael Redgrave never emigrated from England, but he was involved in some half-dozen Broadway plays, as performer, director, producer, and/or playwright. The son of an actor and actress himself, Redgrave sired three children who all entered the family trade — Vanessa, her brother, Corin, and their sister, Lynn, who all became veterans of 20 Broadway plays. Vanessa Redgrave, now 78, is the only one of the siblings still alive. Both Vanessa’s daughters, the late Natasha Richardson and Joely Richardson, also became actresses, spending some time on New York stages. Will we see new such dynasties? Photo: Andrew Mueller, Jessie Mueller, and Abby Mueller. Credit: Bruce Glikas.